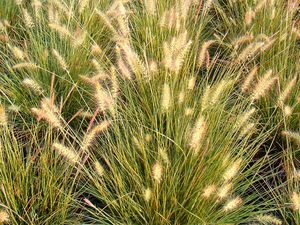 Fountain grass is a very attractive perennial grass. Grows 3' to 4' and makes a great border plant or specimen plant. Flowers are showing summer through fall.